Instead of buying new furniture can you have it refurbished? If you have wood furniture that has outdated looking stains or paint. Can you refinish them or hire someone to do it? If you have couches, love seats or recliners with outdated, stained or just plain ugly fabric. Can you have them reupholstered? If it was high quality furniture to begin with this may be a great way to go if the furniture is still structurally sound. 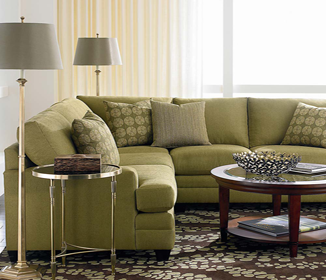 It is significantly cheaper to have furniture reupholstered or refinished than buying new furniture. Do you have the budget to buy new furniture? If not do not make the mistake of financing it. If you really want new furniture and you are lacking the funds to pay cash I would suggest buying one piece at a time. Some furniture stores will even do lay-away. You will enjoy and appreciate what ever you buy much more when you know it’s paid for. What’s your style? My wife loves the whole shabby chic look. So for us buying furniture at the thrift store, auctions, estate sales and garage sales is a no brainer. With a little elbow grease we can have a new piece of furniture in our house for next to nothing. 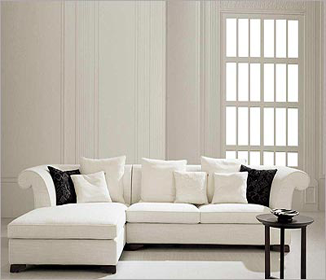 If you really need to buy new furniture see if the contractor you used to build your house has any connection with local furniture stores, interior designers or staging companies. A simple referral to one of these businesses could save you a ton of money. Good luck with what ever you decide. Furniture shopping is always fun.